Some exciting news for you today! It's Blog Hop time!! Today we are CASE-ing (Copy & Selectively Edit) Wendy Cranford, who is also joining us on this hop! I hope you find great inspiration from all the projects in this hop. You may be starting the hop here at my blog (Jessie Holton) or you may have come from the previous person on the list. Be sure to click on the next person in the list to continue your blog hop adventure casing Wendy's work. Oh I just melted I thought it was so sweet! Here is my case of it & Wendy, I hope I've done you proud! 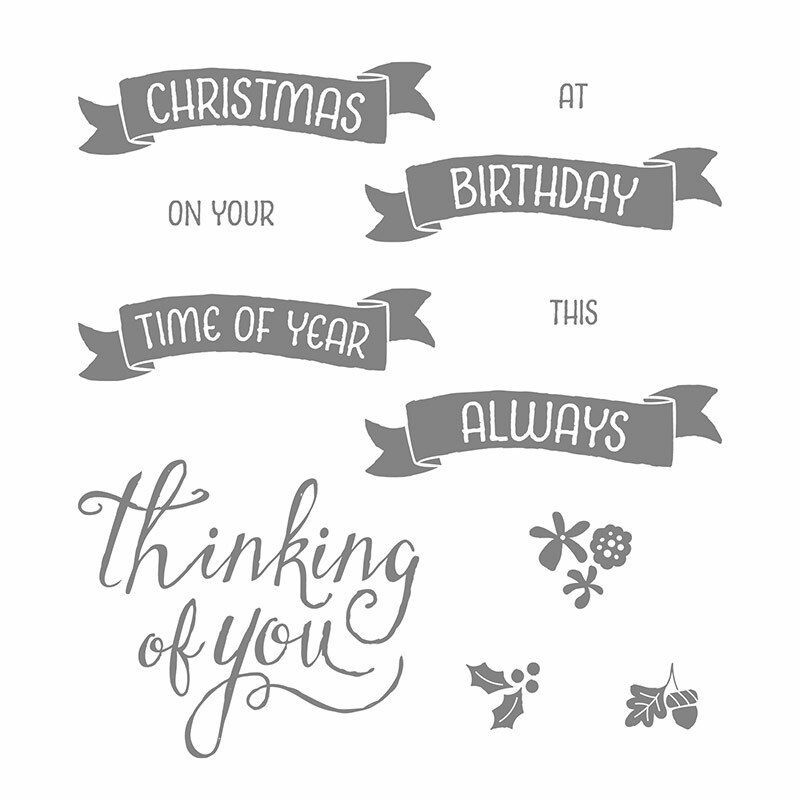 Click here to go to Wendy's blog post for this card & she's also got a YouTube video there for you to watch. I started off with a Night of Navy cardstock base, layered with Elegant Eggplant & Whisper White. I have sponged the bottom quarter of the Whisper White cardstock with Crumb Cake & the rest of the piece with Daffodil Delight. 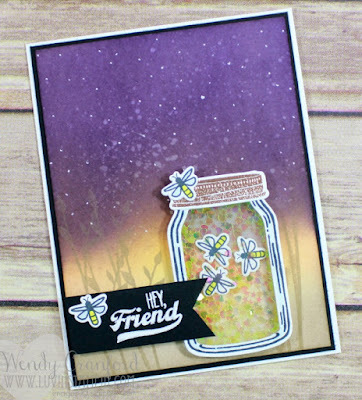 I have then used the largest splotch from the Gorgeous Grunge stamp set & the stars from the Made with Love stamp set all over the top half with Versamark & set Clear Heat Emboss Powder with my Heat Tool. Next, I have added the sponged layers of Flirty Flamingo, Elegant Eggplant & Night of Navy up to the top. 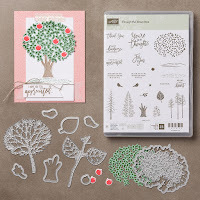 I have also added the bush in the bottom corner from the Jars of Love stamp set in Crumb Cake. 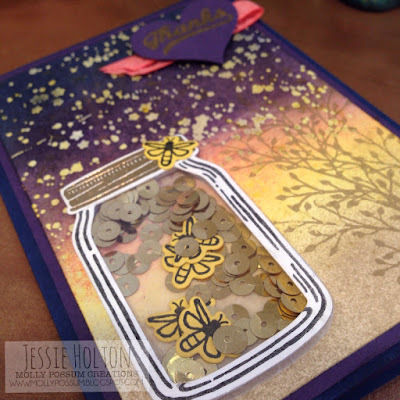 For the jar, I have used my Big Shot to die cut the fireflies in Daffodil Delight & the jar in Whisper White, both stamped with Momento Black. I have also used the jar framelit to cut a Window (acetate) sheet and a piece of Vellum for the back of the jar. I have heat embossed the lid with Gold before die cutting that, too. I have added the fireflies & Gold Sequins (pulled off the Trim) inside the jar & sealed with a single strip from the Foam Adhesive Strips. I have also heat embossed the Gold sentiment onto Elegant Eggplant & used the Sweetheart punch before layering it with some Flirty Flamingo Ruched Ribbon. And I have added a few dots here & there with the Gold Wink of Stella pen all over the front of the card. 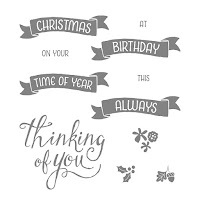 I have also flicked the inside of the card with the Gold Wink of Stella pen & stamped the sentiment in Elegant Eggplant & the bush in Crumb Cake & then sponged over both with Flirty Flamingo. 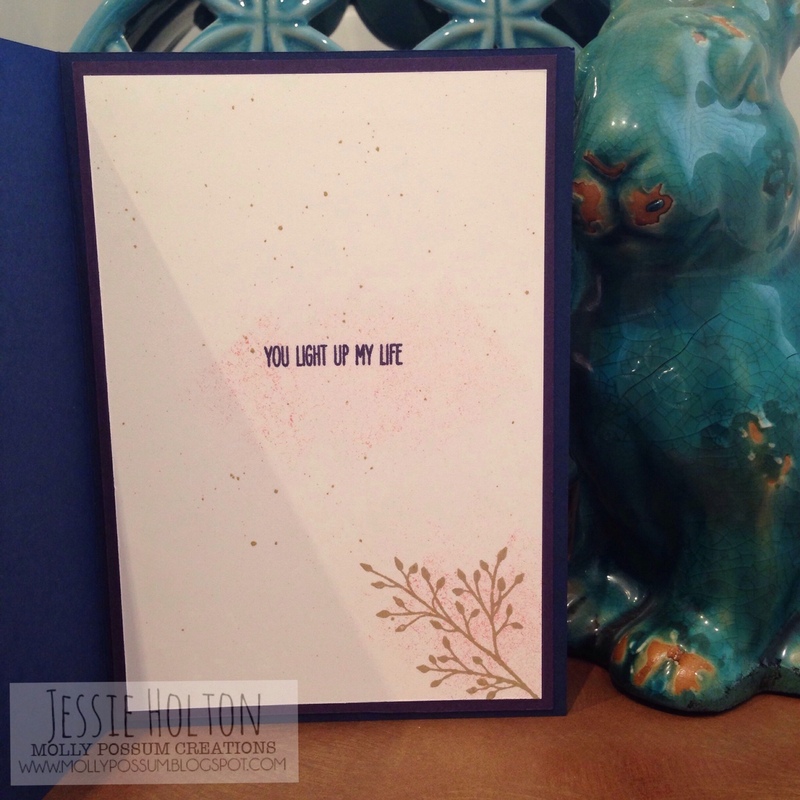 The inside of the card is also layered with Elegant Eggplant & Whisper White cardstock to match the front. 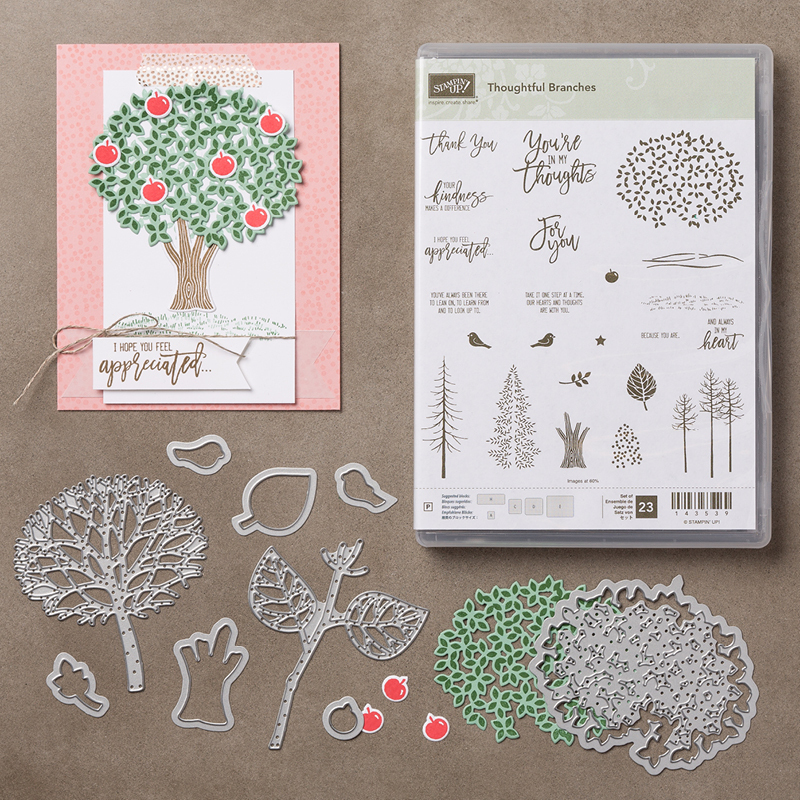 All of these products are from Stampin' Up! and are available on my Online Shop - please see below for the link & more info on how you can get freebies from me. 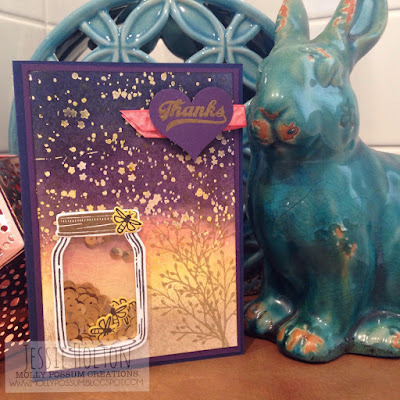 I have also entered this card into the Crazy Crafters Project Highlights for this week. You can see all the entries & vote for your favourite from 6:30pm AEST, Friday 2 September 2016. Please jump, skip & hop along the list to enjoy everyone's cases of Wendy's beautiful work! 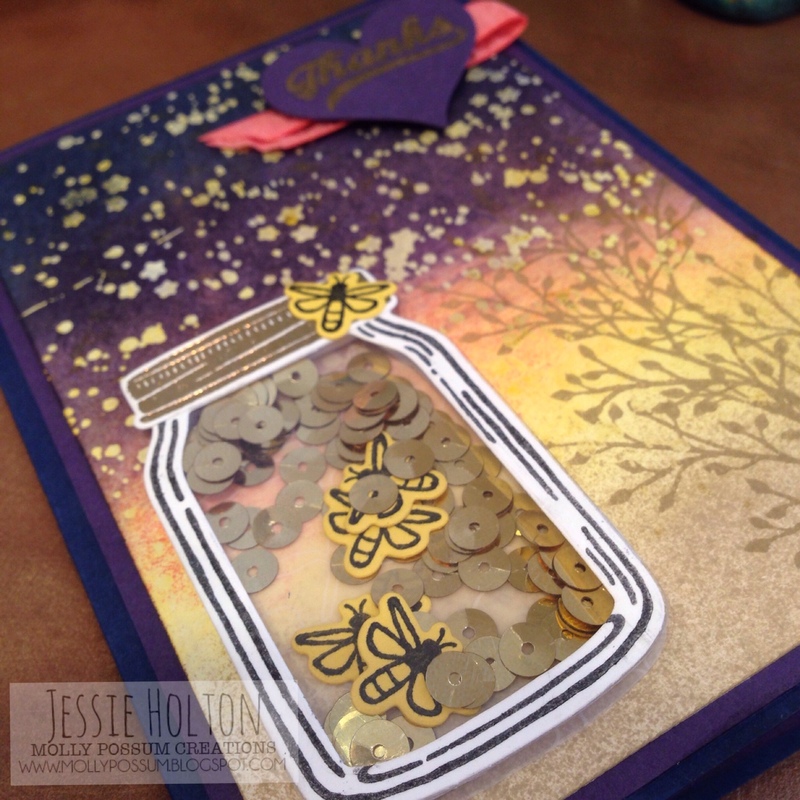 Stunning card Jessie and a great CASE! Makes me think of hot summer nights. Lovely. I'm mesmerised! Love the shading and all the little touches! What a beautiful card. I love how you created the night sky. It's really gorgeous and perfect sponging.... I love everything you did for this card. What a delightful card! Your colours are on point! Well done and thanks for sharing! This is BEAUTIFUL!!! I love the colours. Such a beautiful card! Love the purple colour. Great case - stunning card!